23'' Automatic umbrella. 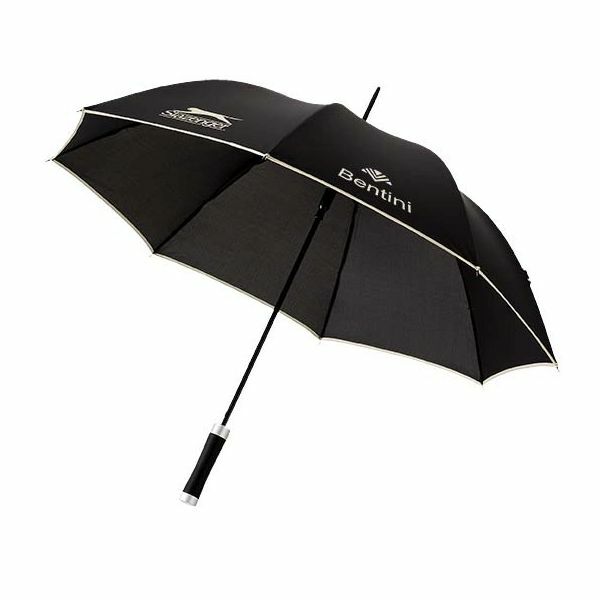 Exclusive design umbrella with metal shaft and ribs. Black rubber coated handle with matching colour detail, packed in a Slazenger gift pouch. Polyester.